In my attempt to activate the reset button on my sugar cravings before the holidays, I embarked on a 21 day cleanse prescribed to me by my acupuncturist. 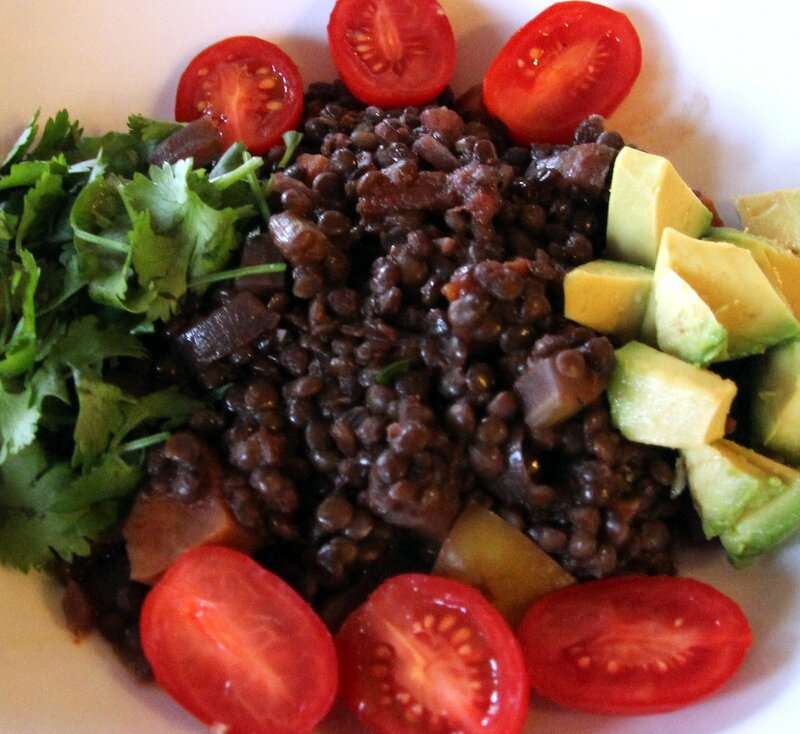 It was good, it included lots of fruits and veggies, fiber supplements, protein shakes, and a limited amount of brown rice and lentils, the inspiration for this Black Lentil Chili. I did really well the first 5 days then caved to my cravings for meat and dark chocolate (very dark, very little sugar). Although I relaxed the rules a bit, I still took all the supplements, made the shakes three times a day, drank a ton of tea and water, and (most days) managed to avoid wheat and dairy. I lost a few pounds and feel much more prepared to combat those mini Halloween candy bars, meaning I will still have them, but I won’t have six at a time. Chances are, I’ll need to do this again in January, but such is the life of a food lover. 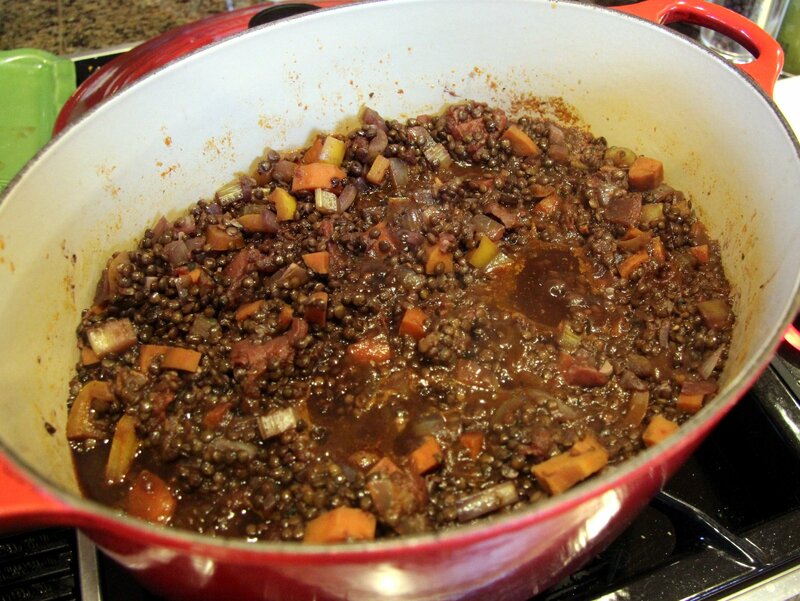 Lentils aren’t really my thing. 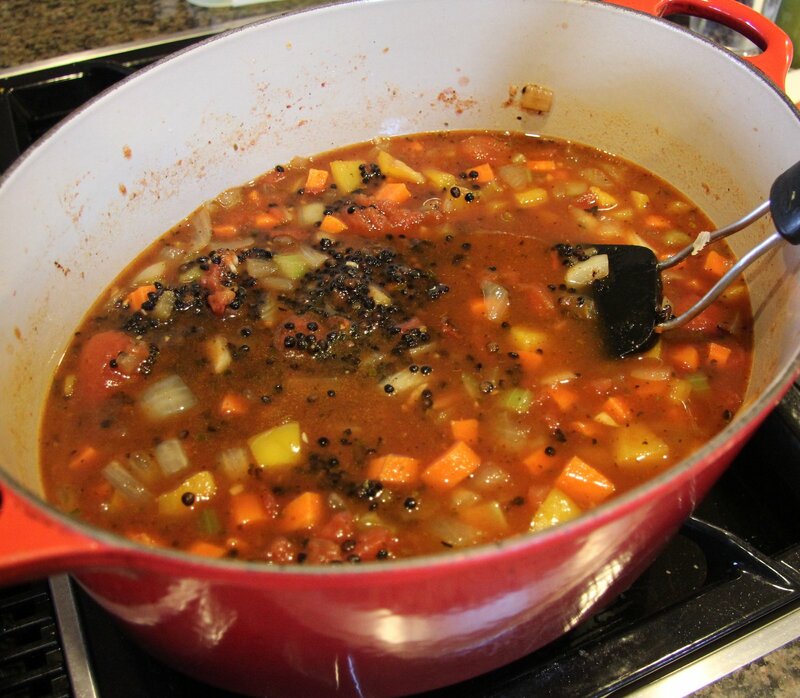 I have had some fine lentil soups, I don’t hate them, but they’re not likely to appear on my shopping list. The texture is a problem for me, I would much rather have beans. 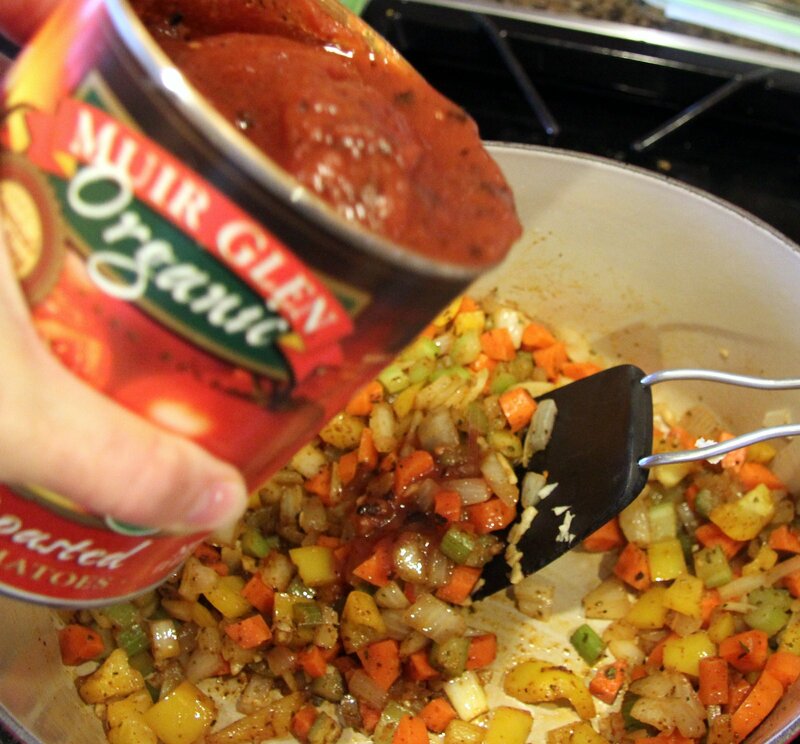 But, with my very limited food options, I needed to buy some so I decided I would look for a really good quality product (I’d read that made a difference with lentils) and went to Newport Market, our local Bend gourmet grocery store. 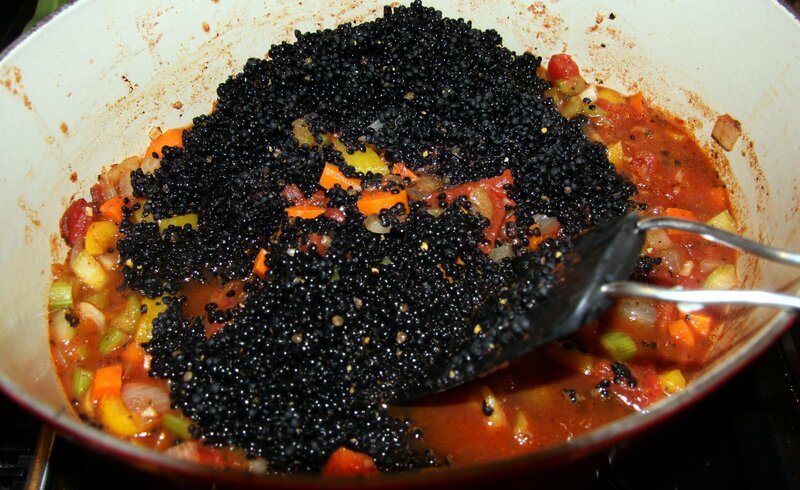 I was very excited to find the black lentils! 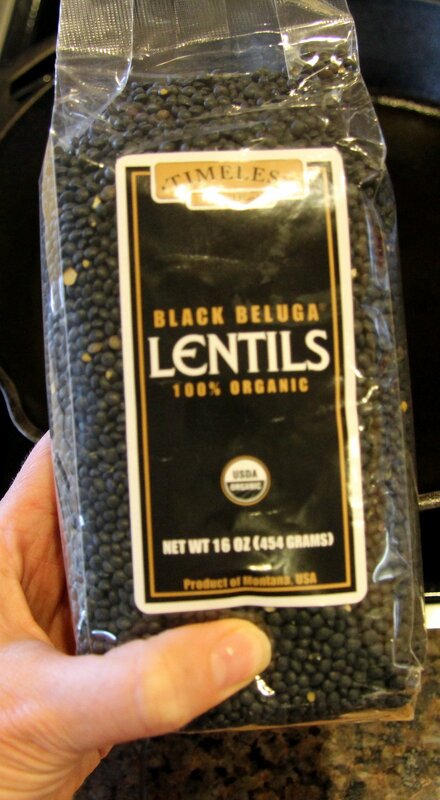 They’re tiny little things, called beluga lentils because of the caviar-like texture, which I find to be far superior to the flat brown/green lentils. 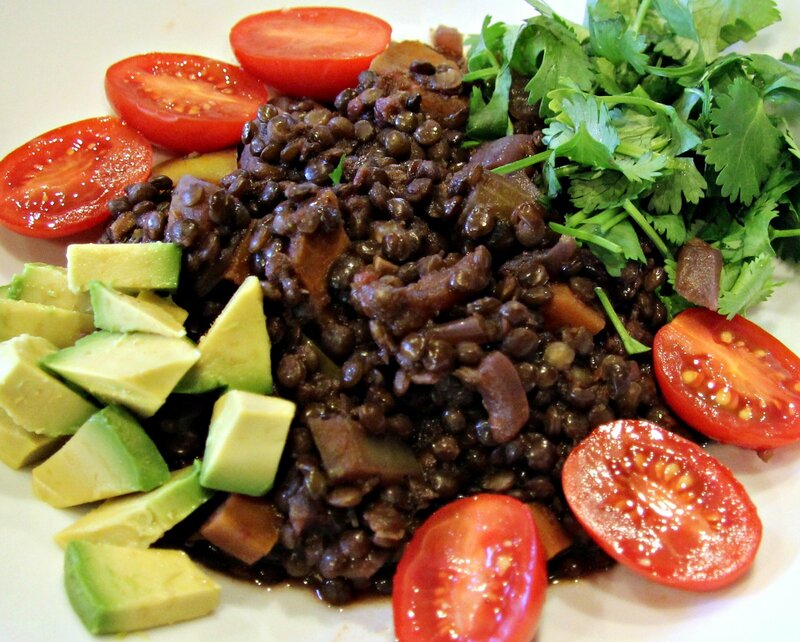 They are super healthy, loaded with fiber and protein, and have more antioxidants than other lentils due to their deep color. They reminded me of tiny black beans so I decided to really spice them up and make a hearty chili. It’s something I will definitely make again, cleanse or no cleanse. Bob loved it, giving it his “there’s nothing wrong with this” standard statement of high praise. It would make a great dish for Halloween night! Not only is it black, but all that fiber and protein will help manage the sugar rushing through your body. 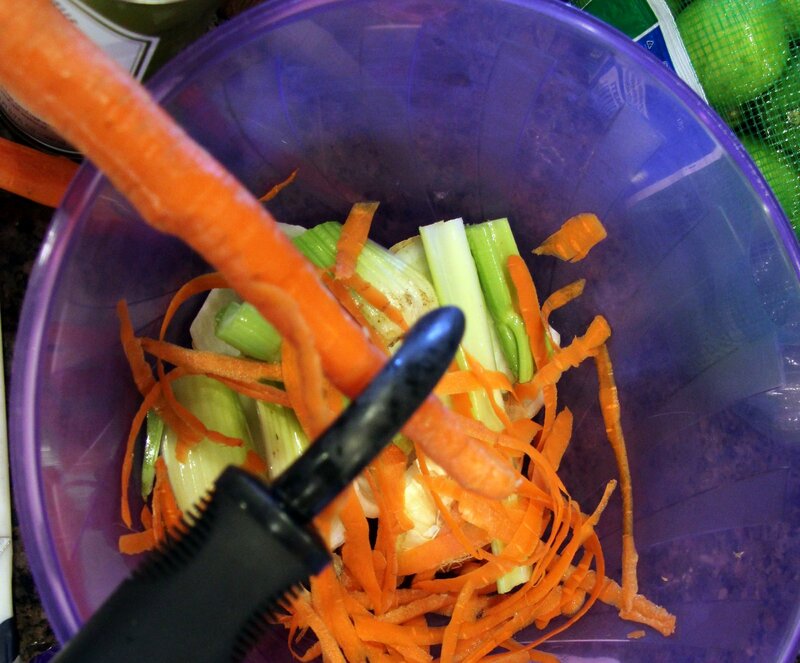 Chop the onion, celery, and carrots. 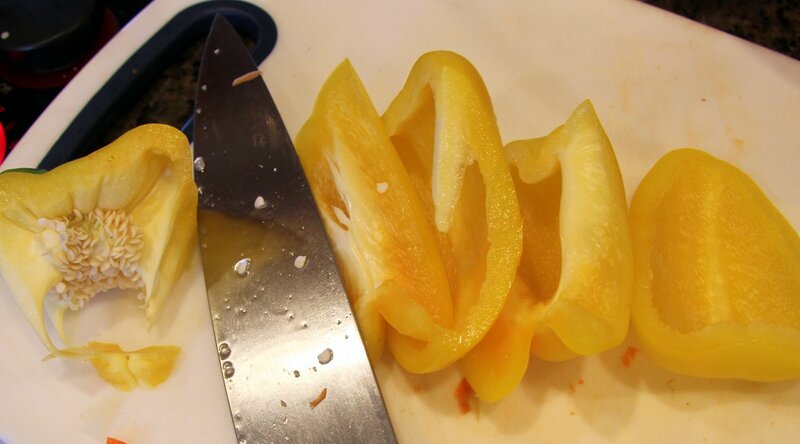 Always make sure you have a large bowl handy for your vegetable scraps. Cook in oil over medium heat with salt and pepper (go light, you can add more later if needed) until they begin to soften. 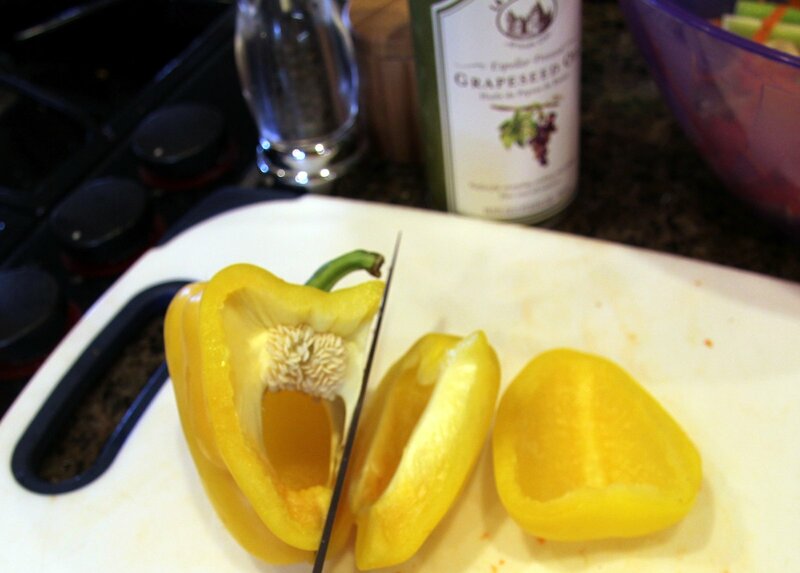 Remove the stem and dice bell pepper. 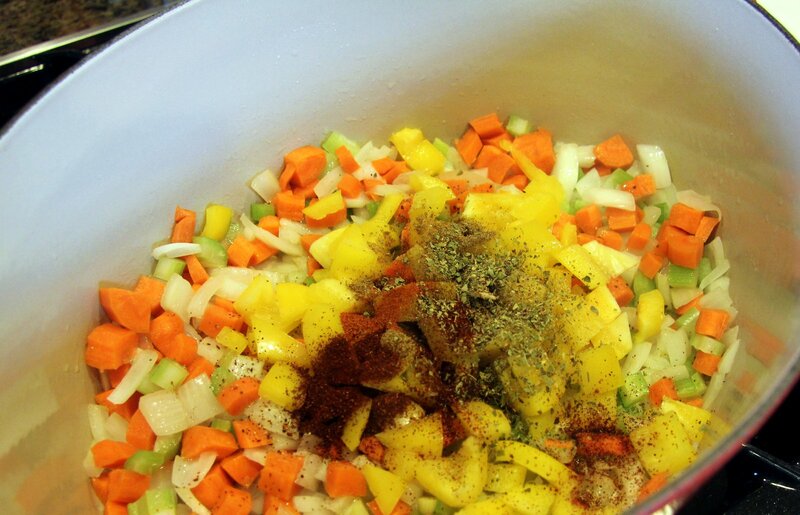 Add to other veggies along with the spices and continue to cook for 5 more minutes. Stir in garlic and tomatoes. If the tomatoes are whole as mine were (surprise! ), just break them up with a spatula. 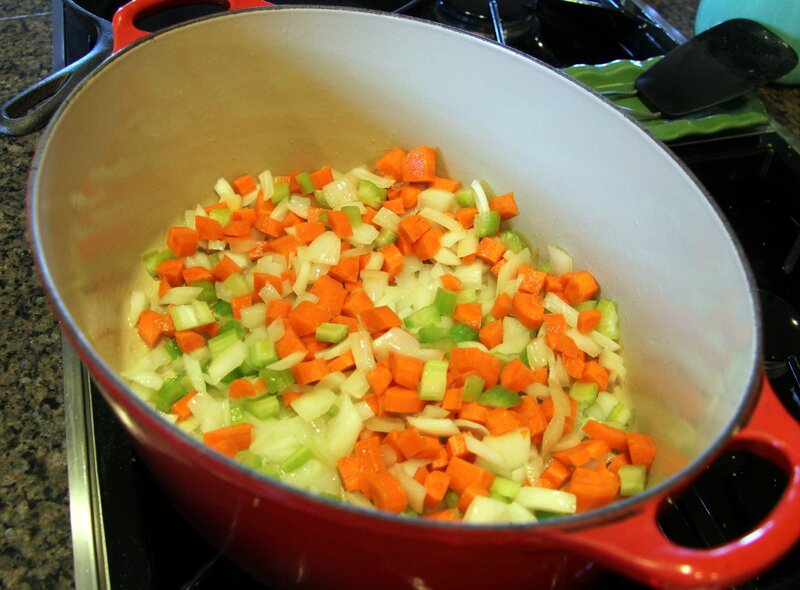 Then add vegetable stock, bring to a simmer and allow to cook for @ 30 minutes, use the cooking instructions on the package as a guide. It should look like this when it’s finished cooking. Stir in lime juice and hot sauce. Taste it… does it need more heat? Salt? 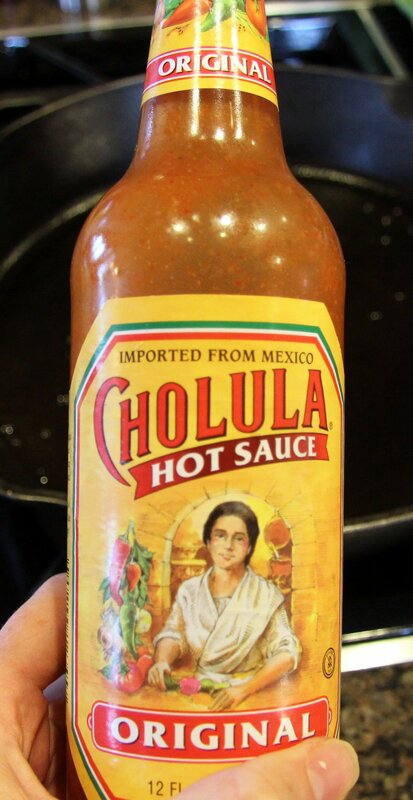 Add it now and taste again. Serve warm with your choice of toppings. A little Greek yogurt or sour cream would be good. You probably aren’t on a cleanse. Food for thought… We’re here to learn.